Yes, they’re rare, but try telling that to the people who experienced the biggest April snowstorms of all time! While we typically associate snow with the winter months, Mother Nature has shown us that it can snow in April as well. 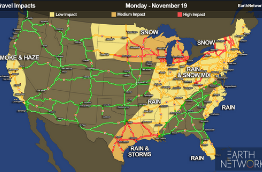 While there were plenty of big snowstorms in mountainous and typically snowy regions like the Sierra Nevadas and Alaska during April, it’s the ones that happen in places that don’t expect it that cause the biggest problems. Those are the ones we’re going to highlight in this list. So keep reading to find out the top four biggest April snowstorm surprises of all time in the U.S. and see if your area made the list. These types of storms are more than just an April Fools joke, though. When the inches start to add up, organizations from transportation departments to schools have a hard time reacting. 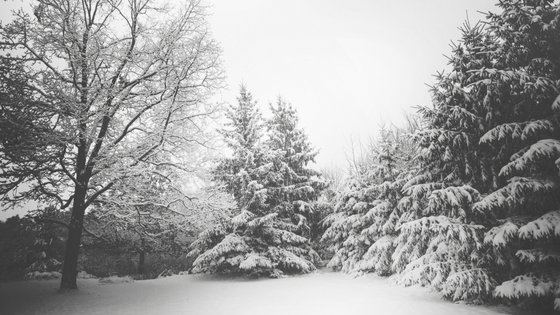 In order to increase your business continuity and operational safety during unexpected weather events, it’s important to have real-time weather data. 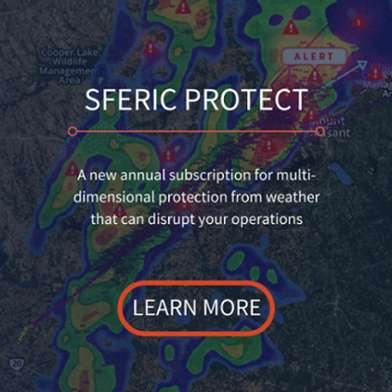 To protect your operations from the biggest April snowstorms and other disruptive weather patterns throughout the week, you can try a solution like Sferic Protect. The day after Easter, another round of snow hit the Northeast, bringing up to 6″ of snow to places like New York City. This unexpected April snowstorm had snow that fell at a rate of over 2″ per hour at New York’s LaGuardia Aiport. It also caused more than 17,000 power outages to homes and businesses in Pensylvania. This year’s snowstorm even postponed the New York Yankees’ home opener against the Tampa Bay Rays on Monday, much to the chagrin of Yankees fans. This was New York City’s greatest April snowfall since April 6, 1982, when the Yankees home opener against the Texas Rangers. Who would have thought snow would be one of the reasons why professional sports teams need real-time weather data? 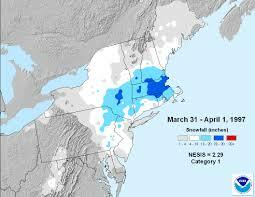 A phenomenal snowstorm hit the Northeast on March 31-April 1, 1997. The storm dropped rain, sleet, and snow from Maryland to Maine, leaving hundreds of thousands without power and as much as three feet of snow on the ground. 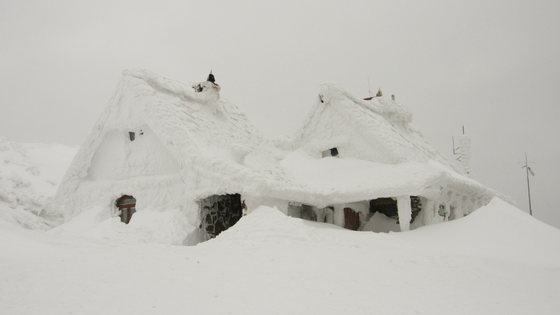 This April snowstorm dropped over 33″ of snow on Worcester. This turned out to be the greatest 24-hour and single-storm total on record for the area. 25.4″ fell in Boston, making this biggest April snowstorm the fourth greatest overall snowstorm for the city. From April 2-5, 1987, an incredible 60.0″ accumulated at Newfound Gap, North Carolina. 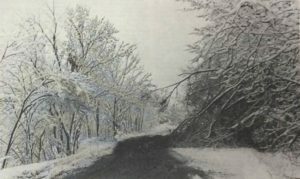 This prolonged and heavy snowstorm caused extensive problems over southeast Kentucky and much of the central and southern Appalachians. According to the National Weather Service, there were drifts of up to 10 feet reported in Letcher County, Kentucky. Can you imagine? The snow began falling in mid-morning Thursday, April 2 before it picked up on Friday, April 3. This April snowstorm virtually paralyzed southeast Kentucky by Friday night and caused widespread winter power outages. Emergency shelters were set up but were hard to reach as snow downed trees and made roads impassable. This was definitely one of the biggest April snowstorms the U.S. has ever seen. We hope we won’t have to report any more of these surprising April snowstorms for a long time, but you never know! If any of these snowstorms surprised you, please share this post on social media and let your friends know about them.